One of the keys to preventing identity theft is in your pocket or purse. It's your car key. All the fancy online programs, firewalls, and apps are fine, but locking your car is the most basic protection against having your identity stolen. Case in point: a Texas couple turned thefts from cars into a booming identity theft business, according to police in Mesquite, who say the two racked up at least 50 victims in a relatively short period of time. And they did it all with no special equipment, no training, and not much of anything else except their spare time. "It was really more of a crime of opportunity," Mesquite police Capt. David Gill told the Dallas Morning News. "If a car was unlocked, they'd go in there and see what they could find." What they found were such things as Social Security cards, mail, auto registration forms and, a real bonanza, credit applications that were left in the glove compartment after a car was purchased. Pieces of mail, besides the car owner's name and home address, often included credit card numbers, birthdates, and other information that can be used for financial skullduggery. All in all, Mesquite police say Elizabeth Carpenter, 27, and her boyfriend Jonathon Warren, 39, admitted to 75 crimes over the winter months. Carpenter and Warren didn't have to travel much in their work. Nearly all of the thefts happened at their apartment complex and others near the intersection of two big freeways. The break in the case came when credit card purchases were traced to a nearby shopping center. 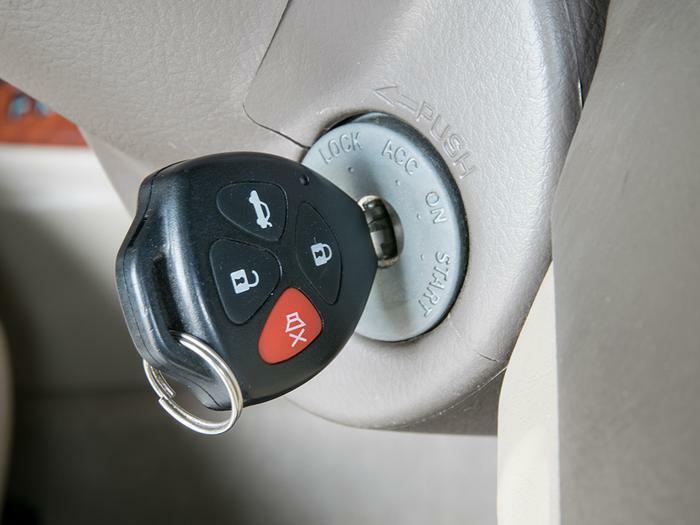 Besides the identity thefts -- 156 separate pieces of personal data were recovered, detectives said -- police say the couple stole at least eight cars, all of them with the keys left dangling conveniently in the ignition. Of 75 separate identity theft victims, 50 had reported the thefts to police. The other 25? They either didn't know they'd been robbed or didn't think it was important. Police in Mesquite and just about everywhere else say preventing such crimes is simple. They call it the "Lock-Take-Hide" method: Lock your car, take your valuables, and hide anything that has personal information. It's important to have all those other things -- firewalls, anti-virus programs, and password generators -- but it doesn't do much good if you leave your identity shining brightly on your front seat.